Imagine trying to build a bridge without an engineer, making the proper calculations to ensure people can go across that bridge without collapsing. It’s really hard, right? The calculations are the backbone. Now think about it, with all the technology surrounding us, how exactly does it all stay together? How do these apps, programs, games, and computers work? That’s the power of the code. Technology nowadays is never too far from reach. Most people carry smartphones, a complex piece of technology that started as an idea. From that idea, everything else fell into place to bring it to life. The most important piece of software a smartphone has is its operating system. There’s code at the root of it all. That code works in harmony with the hardware around it to bring everything to the palm of your fingertips. 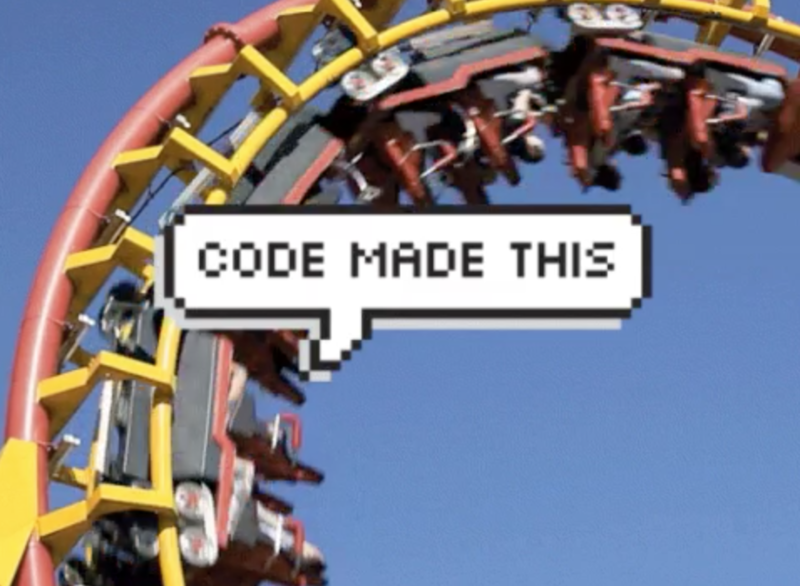 The language of code has been gaining more importance in our daily lives. It’s also where the biggest job openings are appearing. All sorts of jobs in the technology field are opening with incredible demand. Coding can be applied to many environments, which is why the amount of classes are also on the rise. Coders generally start at 50k a year in their positions. If you add specializations and certifications to your skills, your starting point could be even higher. Organizations like our own Codetrotters are there to help make learning accessible in Puerto Rico. Meanwhile organizations like Code.org are working to make these classes even more widespread by including them in school curriculums. By having students involved at a young age, they’re able to develop their skills better. While learning how to code, kids develop better problem solving capabilities and, as a subject that is widely deemed as difficult, they also sharpen their math skills. Critical thinking is another skill that is very useful to develop at an early stage and has numerous long-term benefits. Womentechover is dedicated to inspiring women to pursue tech careers. Women in tech fields is a statistic that has not moved much in the last few years.. which is where movements help bring diversity to a much larger picture. Women like Silvina Moschini and Lauren Washington have been trying to make sure women are connected and empowered to pursue leadership in this world. Silvina created SheWorks to help women locate remote work regardless of where they live. They also provide a great place to connect and even training resources to practice their skills. Lauren Washington started KeepUp in 2014 as a way to declutter social media and show relevant updates from the people you care about. Now that she’s had success with that company, she’s begun to encourage black women to pursue careers in tech through her own movement. Coding is becoming a fundamental part of our current and future era. It’s also a useful skill to have in your reservoir. It’ll help you further advance your own development and skills, personally and professionally. What are you waiting for? Let’s start coding! Want to know more and sign up? Check out www.codetrotters.com and apply now here. Got questions? Write to inbox@codetrotters.com.